Other Sights for Artists’ Projects is a non-profit society based in Vancouver that operates as a collective of individuals with expertise in curation, project management, presentation, delivery and promotion of temporary art projects in public spaces. Other Sights is dedicated to challenging perceptions, encouraging discourse and promoting individual perspectives about shared social spaces. Other Sights seeks to create a presence for art in spaces and sites that are accessible to a broad public, such as the built environment, communications technologies, the media, and the street. Based between Vancouver, Berlin, and rural BC, Holly Ward is an interdisciplinary artist working with sculpture, multi-media installation, architecture, video and drawing as a means to examine the role of aesthetics in the formation of new social realities. Stemming from research of various visionary practices such as utopian philosophy, science fiction literature, Visionary Architecture, counter-cultural practices and urban planning, her work investigates the arbitrary nature of symbolic designation and the use-value of form in both social and subjective contexts. Based between Vancouver, Berlin, and rural BC, Holly Ward is an interdisciplinary artist working with sculpture, multi-media installation, architecture, video and drawing as a means to examine the role of aesthetics in the formation of new social realities. Stemming from research of various visionary practices such as utopian philosophy, science fiction literature, Visionary Architecture, counter-cultural practices and urban planning, her work investigates the arbitrary nature of symbolic designation and the use-value of form in both social and subjective contexts. 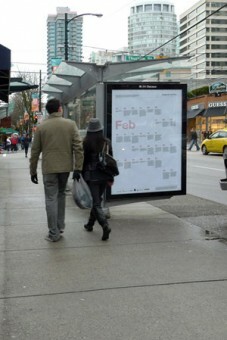 Recent projects include Persistence of Vision, a solo exhibition at Artspeak and News of the Whole World, a commission by the City of Vancouver Heritage Foundation, which could be seen on the Hamilton street side of the CBC building in downtown Vancouver from Feb 2011 to Feb 2012. 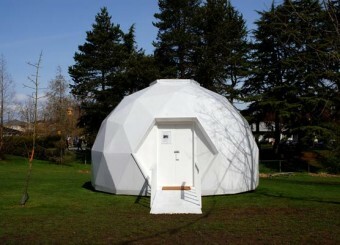 For her 2009-2010 Langara College Artist in Residence project in Vancouver, Ward constructed The Pavilion, a 22’ diameter geodesic dome to act as catalyst for a series of exhibitions, readings, workshops and experimental performances. This project is currently being developed in collaboration with artist Kevin Schmidt as a permanent facility on a rural property in Heffley Creek, BC, wherein the artists will examine aspects of artistic agency from the cultural periphery. 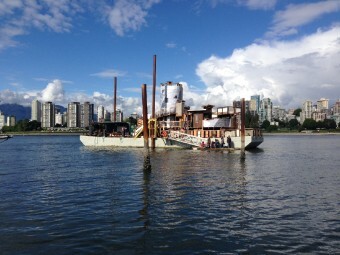 Ward is represented by Republic Gallery, Vancouver. Her second solo exhibition at Republic Gallery opens in November 2015. The Pavilion was a year-long project completed as the Langara College 2009-2010 Artist In residence. 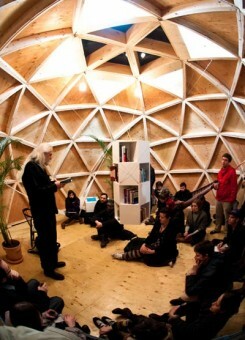 During this time, Ward constructed a 22’ diameter geodesic dome intended to serve as a catalyst for speculative thinking and artistic experimentation. 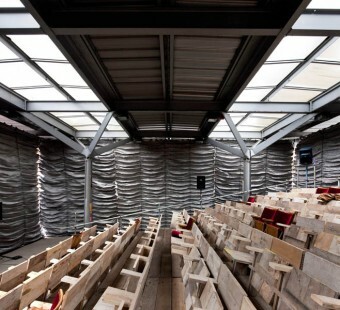 Once the construction of The Pavilion was complete, Ward curated a series of exhibitions, readings and performances in order to generate contemporary engagements with utopian thinking, experimentation and dialogue. 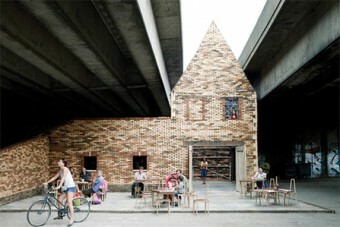 Images 2-3: “Ideas and Integrities: A Utopian Library” at The Pavillion, 2009-2010. “Ideas and Integrities: A Utopian Library” highlighted aspects of The Pavilion as a model for utopian thinking and social engagement by providing visitors with a selection of utopian literature, theory and case-studies. 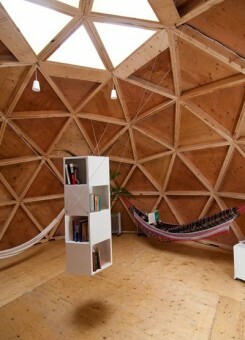 Housed in a bookshelf designed by visionary engineer R.Buckminster Fuller that hung from cables inside the geodesic dome, the collection of utopian literature, case-studies and newsletters could be read in the on-site lounge. 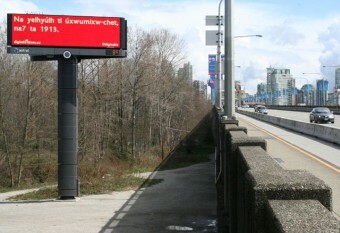 Image 4: Persistance of Vision, Artspeak, Vancouver, 2011. 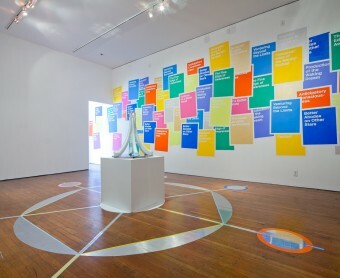 In Persistence of Vision, Ward investigated symbolic strategies of resistance and the use of utopian discourse as a starting point for revolution. Featuring new sculpture and print work, the exhibition created a linkage between contemporary spaces of protest and historical representations of the “utopian” city square. Caitlin Jones is the Executive Director of the Western Front Society in Vancouver. Prior to this appointment she had a combined curatorial and conservation position at the Solomon R. Guggenheim Museum, was the Director of Programming at the Bryce Wolkowitz Gallery and was a freelance writer and curator in New York. Jones has curated multiple exhibitions and residencies at the Western Front with artists including Aleksandra Domanović, Instant Coffee, Oliver Laric, and Erin Shirreff. Her work with international organizations includes curating Western Front’s contribution to No Soul for Sale at the Tate Modern, London; co-curating Seeing Double: Emulation in Theory and Practice at the Solomon R. Guggenheim Museum, New York; and coordinating Nam June Paik: Global Groove at the Deutsche Guggenheim, Berlin. Through her work with the Variable Media Network she has developed policies and standards for the preservation and presentation of electronic and ephemeral artworks. Her writings on contemporary art and new media have appeared in a wide range of exhibition catalogs periodicals and other international publications including The Believer, Mousse and Rhizome.org. Geraldine Dening is a London-based architect, a senior lecturer at De Montfort University, and a founding member of Architects for Social Housing (ASH): a collective of urban designers, academics, engineers, artists, and activists who are responding to London’s present housing crisis. 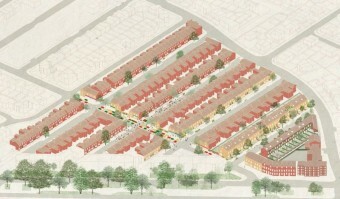 Geraldine Dening is a London-based architect, a senior lecturer at De Montfort University, and a founding member of Architects for Social Housing (ASH): a collective of urban designers, academics, engineers, artists, and activists who are responding to London’s present housing crisis. 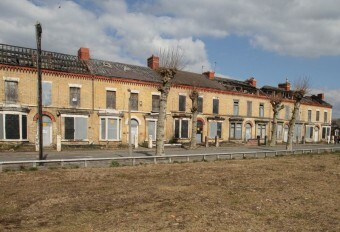 As part of its mandate to find sustainable alternatives to the planned demolition of Greater London’s social housing, ASH works with and offers support to the residents of the region’s estimated 3500 housing estates, who face eviction and displacement in the wake of up-market regeneration schemes. In this year alone, ASH submitted refurbishment design proposals for the Cressingham, Knight’s Walk, Cotton Gardens, and Central Hill estates–each produced from workshops held in collaboration with estate tenants. In June 2015, Dening and ASH coordinated Open Garden Estates, a London-wide public education event involving community tours and teach-ins, aimed to dispel harmful representations of housing estates and their residents. 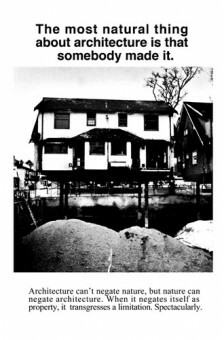 Mered­ith Quar­ter­main is a poet and fic­tion writer whose most recent book is I, Bartleby, a book of sto­ries, which con­tains the piece “How to Remem­ber” (Talonbooks, 2015). Her other titles include Rupert’s Land: a novel, Recipes from the Red Planet (short­listed for a BC Book Prize for fic­tion), and Van­cou­ver Walk­ing, which won a BC Book Prize for poetry. She is cur­rently the Poetry Men­tor in the SFU Writer’s Stu­dio program. Seema Jethalal is committed to cultivating Toronto’s arts and culture scene and inspiring social change in the process. Jethalal joined Artscape four years ago as the inaugural Managing Director of Daniels Spectrum: Regent Park’s 60,000 square foot cultural hub. Daniels Spectrum is home to eight arts and social innovation organizations and is a destination for culturally diverse programming including music, theatre, dance, cultural celebrations, film, educational events and more. Jethalal sits on the Board of Directors of the Toronto Arts Council and Manifesto Community Projects–a non-profit youth arts organization–where she previously served as the Managing Director. She recently joined the Ryerson City-Building Institute Advisory Committee and Roy Thompson Hall/Massey Hall Advisory Committee. She holds a B.A. in Cultural Studies from McGill University, an M.A. in Media Production from Ryerson University. 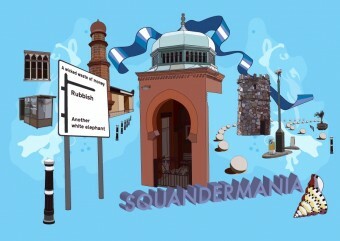 Nils Norman is an artist living in London. He exhibits and generates projects and collaborations in museums and galleries internationally. He has completed major public art projects, including a pedestrian bridge, small playgrounds and a landscaping project for the City of Roskilde, Denmark. Nils Norman is an artist living in London. He exhibits and generates projects and collaborations in museums and galleries internationally. He has completed major public art projects, including a pedestrian bridge, small playgrounds and a landscaping project for the City of Roskilde, Denmark. He has participated in various biennials worldwide and has developed commissions for Sculpture Center, Long Island City, NY; London Underground, UK; Tate Modern, UK; Loughborough University, UK; Creative Time, NYC and the Centre d’ Art Contemporain, Geneva, Switzerland. He is currently developing two small-scale urban farming parks in the Hague, the Netherlands, that test and question the limitations and potentialities of permaculture as a possible city-wide alternative design strategy for urban centres. He is also the lead artist for the city of Cambridge’s project to redevelop part of Trumpington, an area on the city’s southern fringe – developing play elements, street furniture, an allotment and community garden and wayfinding. He is the author of four publications: Edible Park, Nils Norman. Eds. Taco de Neef, Nils Norman, Peter de Rooden, Astrid Vorstermans. Valiz, NL. 2012; Thurrock 2015, a comic commissioned by the General Public Agency, London, UK, 2004; An Architecture of Play: A Survey of London’s Adventure Playgrounds, Four Corners, London, UK, 2004; and The Contemporary Picturesque, Book Works, London, UK, 2000. He is a Professor at the the Royal Danish Academy of Art and Design, Copenhagen, Denmark, where he leads the School of Walls and Space. 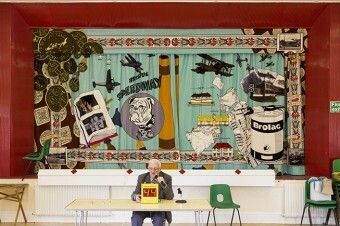 Image 1-3: The Hengrove Community Centre Theatre Curtain, Bristol, 2014. Photo by Max McClure. 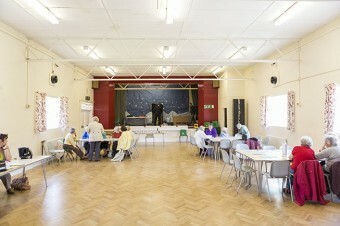 A new theatre curtain for Hengrove community centre informed by local oral histories, anecdotes, and research creating an illustrated social history of the area of Bristol, UK. Images 4-5: The Adventure Playground and Playscape Archive Study Unit, Schmela Haus, Dusseldorf, 2013. This installation was created for the Schmela Haus and the exhibition Das Kind, die Stadt und die Kunst. 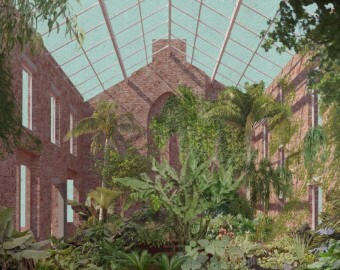 The walk-through installation encompasses the ground floor of the building – a former drive-through entrance – and the garden. 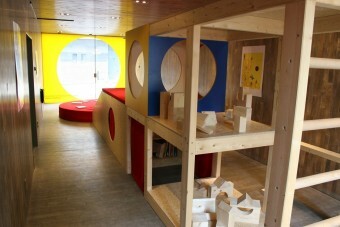 It is a playroom, playground, public space, archive, and library all in one. Images 6-7: Proposal for a Mural. 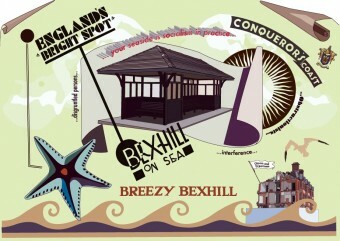 A Portrait of Bexhill. East Sussex, UK, 2007. Three drawings inspired by Edward Wadsworth’s commissioned mural for the De La Warr Pavilion at its opening in 1935. Exhibited in the exhibition It Starts From Here: New Ideas for a Modernist Masterpiece, the De La Warr Pavilion, Bexhill, East Sussexm UK, 2007. Urban Subjects is a cultural research collective formed in 2004 by Sabine Bitter, Jeff Derksen, and Helmut Weber, based in Vancouver, Canada and Vienna, Austria. Together they develop interdisciplinary artistic projects focusing on global-urban issues, the texture of cities, and on civic imaginations. Urban Subjects is a cultural research collective formed in 2004 by Sabine Bitter, Jeff Derksen, and Helmut Weber, based in Vancouver, Canada and Vienna, Austria. Together they develop interdisciplinary artistic projects focusing on global-urban issues, the texture of cities, and on civic imaginations. Urban Subjects do not work on a consensus model. Amongst others, they have organized the exhibition Not Sheep: New Urban Enclosures and Commonsat Artspeak, Vancouver, in 2006 and participated in the conference Contrapolis; or Creativity and Enclosures in the Cities at Poortgebouw and NAI, Rotterdam organized by Marina Vishmidt, Jan van Eyck Academy, in 2008. They have collaborated with Vancouver Flying University on a public program regarding housing in Vancouver. In 2009 they devised and edited the book Autogestion, or Henri Lefebvre in New Belgrade, with a previously unpublished manuscript by Lefebvre (Fillip/Sternberg Press, 2009) and collaboratively produced Momentarily: Learning from Mega-events (Western Front, 2011) with Bik Van der Pol and Alissa Firth-Eagland. For WE: Vancouver at the Vancouver Art Gallery they wrote a manifesto concerning the historical endurance of the political imagination of revolution, a Manifesto for the Poetry of the Future, with geographer Neil Smith. They worked on the project Filling the Weak Points regarding autogestion and “researching the militant image” in cooperation with Kunstraum of Leuphana University Lüneburg and as artists in residence at the Leuphana Arts Program in 2012/2013. In 2014, they curated the exhibition The Militant Image – Picturing What Is Already Going On with Camera Austria, Graz, and conducted the workshop “Researching the Militant Image” as part ofsteirische herbst Academy 2014. Currently they are working on the publication, The Militant Image Reader forthcoming in fall 2015 by Edition Camera Austria. As part of their ongoing research on the urban affects of Olympics and Expos, Where the World Was: Cities After Global Mega-events, in July 2015, they held a research residency at the EXPO in Milano, Italy. Image 1-3: Urban Subjects´ contribution to the exhibition Some Wooly Buzz at Publications Studio Vancouver. December 13, 2013 to February 15, 2014. The series of prints are based on Bernard Tschumi´s series of “Advertisements for Architecture” from 1976-1977, remade and remodelled for Vancouver 2014. 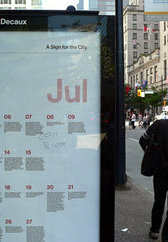 Image 4-5: A Sign for the City, posters, 2011. A Sign for the City was a public art project by Sabine Bitter & Helmut Weber that reassigned the meaning of the regular nightly boom of Vancouver’s Nine O’clock Gun. 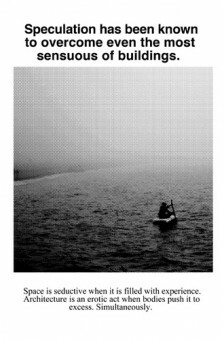 For one year beginning in May 2011, a poster appeared monthly in bus shelters and in The Georgia Straight dedicating the sound of the blast each day to a particular cultural, social or political figure or event in Vancouver and B.C.’s history. The calendar notebook – which was distributed freely – listed the people to whom the 365 cannon reports were dedicated: memorializing an alternative history of Vancouver and symbolically linking culture and politics as the ground of this history. Al McWilliams has exhib­ited exten­sively in both solo and major group exhi­bi­tions through­out Canada the United States and Europe. He has rep­re­sented Canada in exhi­bi­tions in Ger­many, France, Japan, Korea and the United States. His work is held in most major pub­lic col­lec­tions in Canada includ­ing The National Gallery, the Van­cou­ver Art Gallery, the Art Gallery of Ontario and the Musee D’art Con­tem­po­rain. Along with his pri­vate stu­dio prac­tice Al has been involved in a num­ber of pub­lic art com­pe­ti­tions com­plet­ing works in Toronto, Van­cou­ver, Seat­tle and Japan. 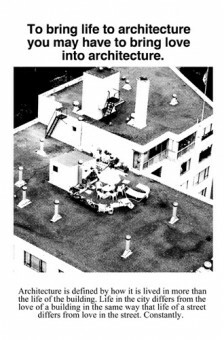 His last pub­lic project was the Mon­u­ment for the Royal Cana­dian Navy in Ottawa. McWilliams is rep­re­sented by the Equinox Gallery in Van­cou­ver and Trepanier­Baer Gallery in Calgary. Annabel Vaughan is a BCIN certified graduate architect and principal of publicLAB RESEARCH + DESIGN based in Toronto. Positioning an understanding of architecture within the city’s political + cultural discourse, her interest lies in the intersection between architecture as a spatial practice reflected in a single built work and the broader role of architecture as an agent for cultural production in the city. She writes and participates regularly in discussions concerning the role architecture and public art can play as an agent of political change in the city. Vaughan has taught design studios at the School of Architecture at the University of Waterloo, the University of British Columbia and the British Columbia Institute of Technology and guest lectured at SFU and Emily Carr University of Art + Design. She has written on contemporary art and the public realm and has been published in catalogues, academic journals and essay collections. Her work has been exhibited at Centre A, Artspeak, Presentation House, the Vancouver Art Gallery, and The Other Gallery in Banff. Brian McBay is an artist, designer and curator based in Vancouver, Canada. In 2005 he co-founded 221A, an artist-controlled non-profit organization that explores the role of design in the shaping of society, where he is currently the Director. McBay has been invited to speak internationally as a critic of design ideology and as an advocate for artist-determined culture with an emphasis on spatial politics. He recently founded the outdoor site Semi-Public, a 10-year rotating program of contemporary art in an empty lot in Chinatown, where he curated the inaugural project Vancouver Especially by Ken Lum. Daniel Clarke is a London-based illustrator. His work reinterprets architectural forms, taking influence from urban exploration and drawing trips across Europe. 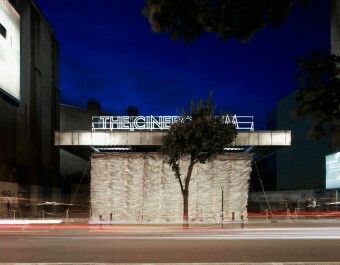 His recent works borrow the lines, curves, and modules from modernist design to build inspired structures and patterns. 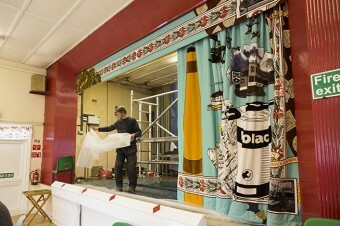 Clarke’s work has been exhibited throughout London in solo and group exhibitions including the V&A Museum. He has also worked with a variety of publications including The New York Times, Amnesty International, Wallpaper Magazine and many more. Jeff Derksen is a founding member of the Vancouver writer-run centre, the Kootenay School of Writing, and has worked as an editor of Writing magazine. His work has been anthologized in East of Main and Verse: Postmodern Poetry and Language Writing. As an editor, Derksen also organized “Disgust and Overdetermination: a poetics issue,” for Open Letter and “Poetry and the Long Neoliberal Moment” for West Coast Line. Derksen’s poetry and critical writing on art, urbanism and text have been published in Europe and North America. Formerly a research fellow at the Center for Place, Culture and Politics at the City University of New York, he currently works in the English Department at Simon Fraser University in Vancouver. He collaborates on visual art and research projects (focusing on urban issues) with the research collective Urban Subjects. Derksen’s Down Time won the 1991 Dorothy Livesay Poetry Award at the BC Book Prizes. A selection from Dwell — “Host Nation, Host Society”—was nominated for inclusion in The Gertrude Stein Anthology of Innovative North American Poetry: 1993. Mike Lombardi is an elected member of the Vancouver School Board. Before seeking office as a school trustee, Mike served in the public education system as a teacher, professional development expert, and teacher leader. Prior to his retirement in June 2008, Lombardi served as Director of the BCTF Professional and Social Issues Division. He has a Bachelor of General Studies degree from Simon Fraser University and a Master of Education degree from the University of British Columbia. He now works as an education consultant. He currently serves on the Board of Directors for the Italian Cultural Centre.